TR20 - Neutronic Haze Fluid is the affordable and compatible alternative for your Neutron and Radiance Hazers and comparable to Ultratec Luminous 7 Haze Fluid and Neutron Haze Fluid. Neutronic Haze Fluid is very unique and therefore should only be used as a compatible alternative to Neutron Haze Fluid in the Neutron Hazer or Radiance Hazer. Neutronic Haze Fluid has a very high concentration of active chemical to minimize fluid consumption! Froggys Neutronic Haze Fluid is practically odorless, and when used properly will produce the perfect effect for your lighting needs. It is made from the highest quality pharmaceutical grade chemicals and with the amazing results you will see from this fluid. All Froggys Fog and Haze Fluids are made from lab-grade UV-Filtered de-ionized water and pharmaceutical grade chemicals, each approved by the FDA. Neutronic Haze is a Registered Trademark of Froggys Fog LLC. 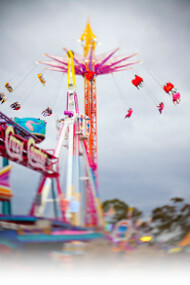 Froggys Fog uses only De-Ionized Water and Pharmaceutical Grade Chemicals! TR20 – Neutronic Haze Fluid is the affordable and compatible alternative for your Neutron and Radiance Hazers and comparable to Ultratec Luminous 7 Haze Fluid and Neutron Haze Fluid. 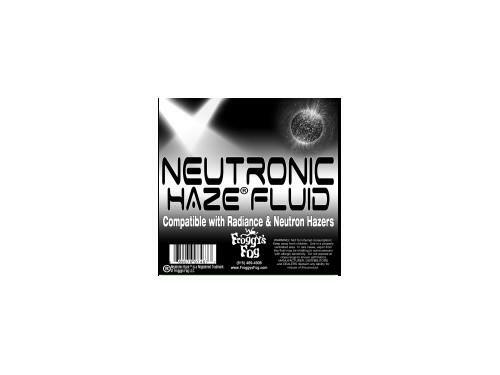 Neutronic Haze Fluid is very unique and therefore should only be used as a compatible alternative to Neutron Haze Fluid in the Neutron Hazer or Radiance Hazer. Neutronic Haze Fluid has a very high concentration of active chemical to minimize fluid consumption! Froggys Neutronic Haze Fluid is practically odorless, and when used properly will produce the perfect effect for your lighting needs. It is made from the highest quality pharmaceutical grade chemicals and with the amazing results you will see from this fluid. All Froggys Fog and Haze Fluids are made from lab-grade UV-Filtered de-ionized water and pharmaceutical grade chemicals, each approved by the FDA. Neutronic Haze is a Registered Trademark of Froggys Fog LLC.